Helmsman Spar Urethane is a specially formulated protective clear finish for exterior or interior wood that is exposed to sunlight, water, or temperature changes. It contains UV blockers to reduce the sun's graying and fading effects. Helmsman Spar Urethane forms a protective barrier against rain and moisture and its special oils allow the finish to expand and contract with the wood as seasons and temperatures change. 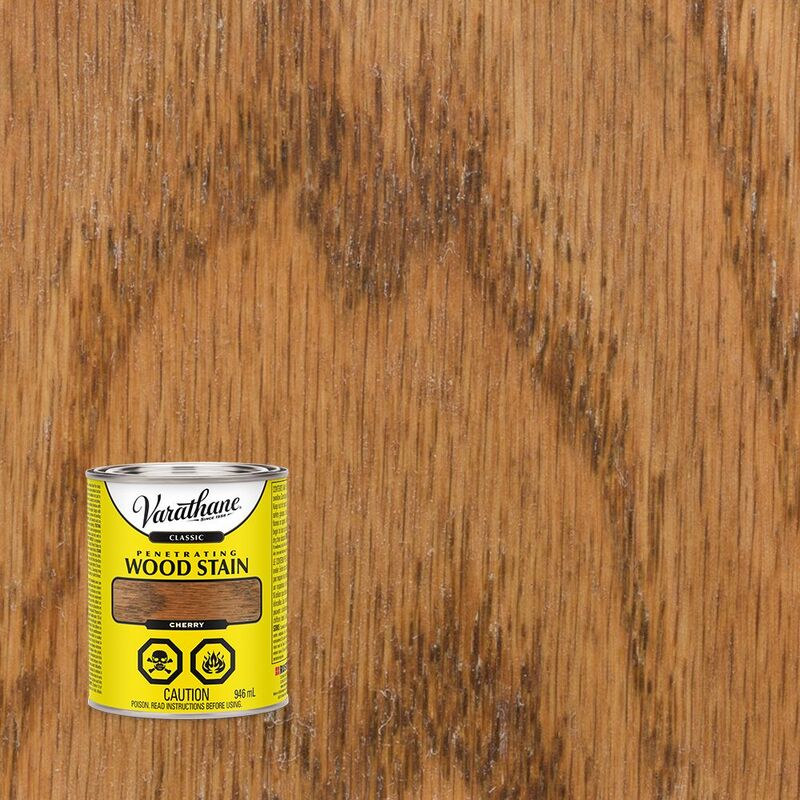 Varathane Classic Penetrating Wood Stain Cherry 946ml VARATHANE Classic Oil-Based Penetrating Wood Stains are formulated with a unique base for deep penetration and premium pigments for clear colour. This results in a deeper, richer and more natural colour for your wood projects.